With a unique South Beach vibe, the hotel features all-new rooms, suites and luxury villas that evoke the sentiment of a breezy beach house or penthouse in Miami, a fresh redesign of the 50,000-square-foot casino, several award-winning restaurants, a new race and sports book, and Glow®, a Mandara Spa and fitness center. 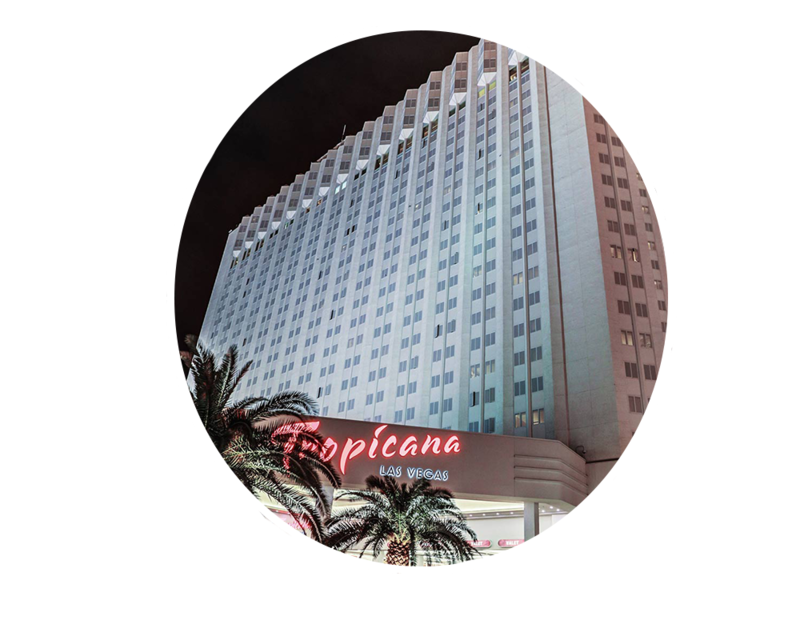 First-class entertainment in the all-new Tropicana Theater, Laugh Factory comedy club and live music in the Tropicana Lounge. The conference room rate is $130.00 per night (+ applicable taxes) for single/double occupancy. Reservations must be made by December 23, 2019. Please make your room reservation(s) early, as the group room block may sell out before the cut-off date. To book hotel call (702) 739-2222. Web link coming soon. Registration link for this event will be made available soon!